A Jerusalem based all women\'s band shares with you a collection of their finest music produced over the past 25 years. This is their first instrumental recording. guitars, flutes, drums, percussion, bass, keyboards, harp and saxaphone. 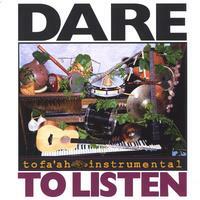 jerusalem based all women\'s band tofa\'ah (phenomenon in english)presents its first instrumental 2 disc set. hand picked from their best selections of 25 years, flutes, keyboards, guitars and saxaphone contribute their outstanding and harmonious melodies, truly capturing the spirit of thier music in a whole new dimension. sit back, get your headset on and experience the heart and soul of tofa\'ah....unlike anything you\'ve heard before.....enjoy!